I think WG is planning to introduce new mechanics this yer, apart from what we already know, the auto-siege/hydropneumatic suspension. Which would you like to see? Are there other things vehicles are capable of doing, that World of Tanks is yet to see? maybe that we could switch between the hull gun and the turret gun on M3 Lee & Grant. I don't want my arty to swim. I'd like to see the current mechanics getting finally fixed, from penetration to movement. I'm eagerly looking forward to being able to transform my tank into a tree and the ability to teleport across the battlefield. 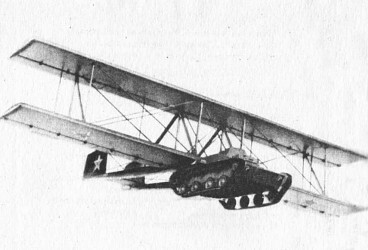 I'd also really appreciate leapfrog-mechanics so I can use my Maus to jump and crush people from above. I wish WG wouldn't introduce more gimmicks. I think they should make the game work, before they change anything. But not likely to happen. Ruski way of making things. Made in Chine or Taiwan works better. HA. Multi-turret is one that comes to mind, it even has been tested in the past (halloween mode), and there's at least two lines that you would entirely base on by using the multi-turret mechanic, namely French and Soviet multi-turreted super-heavies. However, I don't expect any of those or the mechanic itself to come anytime soon, as they said it had some problems. one that you can hide 4 meters wide 4 meters high tank? easier than tank half that size? where when 10 ton vehicle crash into 50 ton vehicle and second one is destroyed? where light tank with 20 mm armor have same HP as 200 mm armored tank? where gun penetrate armor depend on what chasis is built in? where truck tyre is best known armor in world? where wheels are better solution than tracks on soft terrain? where TD fix tracks faster than heavy tank reload his gun? or do you mean that army generals where stupid when choose that tanks for army service?? why not MI24 HIND or A-10 ?